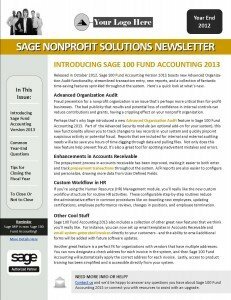 Our newsletter program is a great way to keep in touch with your Sage Fund Accounting customers and demonstrate the value of your relationship as a technology provider. We personalize and “brand” the newsletters with your company logo, contact information, and colors. 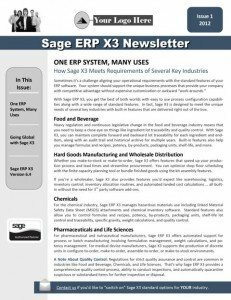 With each issue, you get a PDF, Email version, and the article content in a Word document for Sage Partners that also want to post on their blog or website. To see a sample issue, download a sample copy of the Year End 2012 edition below. 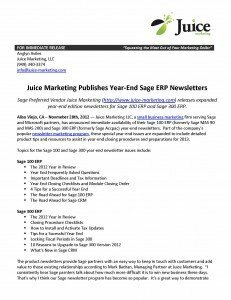 To purchase this issue or learn about a discounted annual subscription, visit our Sage Newsletter Marketing information page. 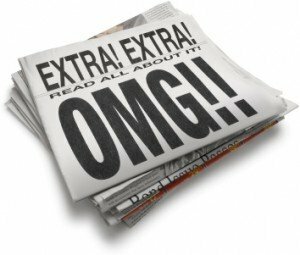 As a Sage business partner, a newsletter is perhaps the most versatile tool in your marketing arsenal. This one, powerful piece of communication has so many different uses. Lead Nurturing – The sales cycle for business software can be very long. A newsletter keeps your company “top of mind” with prospects, making it easy for them track you down when they’re ready to buy. Customers – A newsletter can provide your customers with practical tips, support updates, and add-on modules that will help them make the most of their software investment and relationship with your firm. Alliance Partners – A newsletter puts you front and center with alliance partners, builds the relationship, and makes it easy for them to refer business to you. Below are a handful of tips that will have your customers, prospects, and alliance partners looking forward to each and every issue.